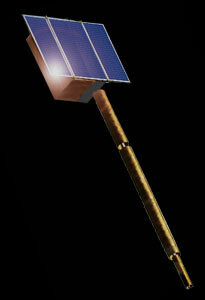 Bremen-based space technology company OHB-System AG has been awarded a contract in March 2005 by U.S. satellite operator ORBCOMM Inc. to participate in the development and construction of the Orbcomm-CDS 3 (Concept Demonstration Satellite) satellite with a secondary U.S. Coast Guard AIS payload. This Orbcomm-CDS 3 satellite was to provide standard ORBCOMM service, and was also to have a U.S. Coast Guard payload to support their Automatic Identification System (AIS). This satellite was to receive signals emitted from vessels, enhancing U.S. Coast Guard monitoring techniques as part of their homeland security initiatives. This satellite was scheduled to be launched in early 2006 on board the russian Kosmos-3M carrier rocket from the Plesetsk Cosmodrome, but the launch was delayed until 2008. OHB was integrating and function-testing the satellite in Bremen as the system manager with the recently incorporated joint Venture COSMOS Space Systems AG. The Russian partner Polyot from Omsk supplied the satellite bus and handled the launching procedures. Orbital Sciences Corporation based in Dulles, Virginia was also under contract with ORBCOMM to develop and manufacture the payload that incorporates ORBCOMM services with reception of AIS signals. ORBCOMM was to process and deliver vessel identification and location directly to the U.S. Coast Guard. The communications payload was taken from an unlaunched first generation satellit, Orbcomm FM29, from which CDS-3 also inherited the FM29 designation. In addition to assisting the U.S. Coast Guard receive the AIS transmissions, this launch was the first of a planned series of replenishment satellites. A number of problems with the six satellites of the first launch have occurred. All six (including ORBCOMM CDS 3) satellites suffered from problems with their reaction wheels. Orbcomm announced in May 2009, that it will file a $50 million total-loss insurance claim for all six satellites it launched in June 2008, arguing that even if only one of them has completely failed in orbit, none of the other five qualifies as a "working satellite" under the company's insurance policy. As a replacement for the AIS function, two dedicated VesselSat satellites were provided by OHB's daughter LuxSpace.